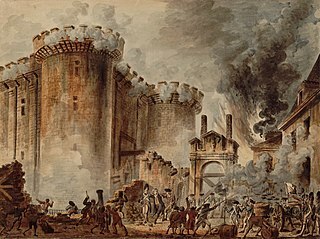 Storming of the Bastille, July 14th 1789. The French Revolution initiated the movement toward the modern nation-state and also played a key role in the birth of nationalism across Europe where radical intellectuals were influenced by Napoleon and the Napoleonic Code, an instrument for the political transformation of Europe. "Its twin ideological goals, nationalism and democracy, were given substance and form during the tumultuous events beginning at the end of the eighteenth century." Revolutionary armies carried the slogan of "liberty, equality and brotherhood" and ideas of liberalism and national self-determinism. National awakening also grew out of an intellectual reaction to the Enlightenment that emphasized national identity and developed a romantic view of cultural self-expression through nationhood. The key exponent of the modern idea of the nation-state was the German G. W. Friedrich Hegel. He argued that a sense of nationality was the cement that held modern societies together in the age when dynastic and religious allegiance was in decline. In 1815, at the end of the Napoleonic wars, the major powers of Europe tried to restore the old dynastic system as far as possible, ignoring the principle of nationality in favour of "legitimism", the assertion of traditional claims to royal authority. With most of Europe's peoples still loyal to their local province or city, nationalism was confined to small groups of intellectuals and political radicals. Furthermore, political repression, symbolized by the Carlsbad Decrees published in Austria in 1819, pushed nationalist agitation underground. 1878, Congress of Berlin: Serbia, Romania and Montenegro granted independence, and Bulgaria became autonomous, after the Russo-Turkish War (1877–1878). 1912, Albanian national awakening Albania becomes independent. 1916, Irish Republican Brotherhood and Volunteers, Easter Rising. Giuseppe Mazzini, campaigner for Italian unification. A strong resentment of what came to be regarded as foreign rule began to develop. In Ireland, Italy, Belgium, Greece, Poland, Hungary,and Norway local hostility to alien dynastic authority started to take the form of nationalist agitation.[when?] 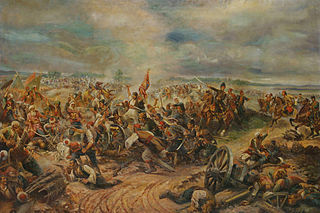 The first revolt in the Ottoman Empire to acquire a national character was the Serbian Revolution (1804–17), which was the culmination of Serbian renaissance which had begun in Habsburg territory, in Sremski Karlovci. The eight-year Greek War of Independence (1821–29) against Ottoman rule led to an independent Greek state, although with major political influence of the great powers. 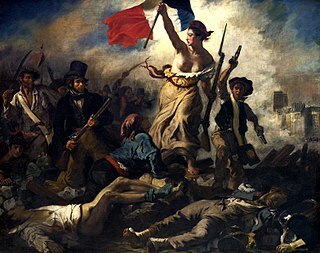 The Belgian Revolution (1830–31) led to the recognition of independence from the Netherlands in 1839. Over the next two decades nationalism developed a more powerful voice, spurred by nationalist writers championing the cause of self-determination. The Poles attempted twice to overthrow Russian rule in 1831 and 1846. 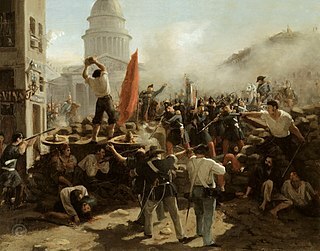 In 1848, revolutions broke out across Europe, sparked by severe famine and economic crisis and mounting popular demand for political change. In Italy, Giuseppe Mazzini used the opportunity to encourage a war mission: "A people destined to achieve great things for the welfare of humanity must one day or other be constituted a nation". In Hungary, Lajos Kossuth led a national revolt against Austrian rule; in Transylvania, Avram Iancu led successful revolts in 1846. The 1848 crisis had given nationalism its first full public airing, and in the thirty years that followed no fewer than seven new national states were created in Europe. This was partly the result of the recognition by conservative forces that the old order could not continue in its existing form. Conservative reformers such as Cavour and Bismarck made common cause with liberal political modernizers to create a consensus for the creation of conservative nation-states in Italy and Germany. In the Habsburg Monarchy a compromise was reached with Hungarian nationalists in 1867 granting them virtual independence. Native history and culture were rediscovered and appropriated for the national struggle. Following a conflict between Russia and Turkey, the Great Powers met at Berlin in 1878 and granted independence to Romania, Serbia and Montenegro and a limited autonomy to Bulgaria. The invention of a symbolic national identity became the concern of racial, ethnic or linguistic groups throughout Europe as they struggled to come to terms with the rise of mass politics, the decline of the traditional social elites, popular discrimination and xenophobia. Within the Habsburg empire the different peoples developed a more mass-based, violent and exclusive form of nationalism. This developed even among the Germans and Magyars, who actually benefited from the power-structure of the empire. On the European periphery, especially in Ireland and Norway, campaigns for national independence became more strident. In 1905, Norway won independence from Sweden, but attempts to grant Ireland the kind of autonomy enjoyed by Hungary foundered on the national divisions on the island between the Catholic and Protestant populations. The Polish attempts to win independence from Russia had previously proved to be unsuccessful, with Poland being the only country in Europe whose autonomy was gradually limited rather than expanded throughout the 19th century, as a punishment for the failed uprisings; in 1831 Poland lost its status as a formally independent state and was merged into Russia as a real union country and in 1867 she became nothing more than just another Russian province. Faced with internal and external resistance to assimilation, as well as increased xenophobic anti-Semitism, radical demands began to develop among the stateless Jewish population of eastern and central Europe for their own national home and refuge. In 1897, inspired by the Hungarian-born Jewish nationalist Theodor Herzl, the First Zionist Congress was held in Basle, and declared their national 'home' should be in Palestine. By the end of the period, the ideals of European nationalism had been exported worldwide and were now beginning to develop, and both compete and threaten the empires ruled by colonial European nation-states. ^ Baradat, Leon P. Political Ideologies: Their Origin and Impact, 10th ed. Upper Saddle, NJ: Pearson, 2009, 44. ^ a b M. Şükrü Hanioğlu (8 March 2010). A Brief History of the Late Ottoman Empire. Princeton University Press. pp. 51–. ISBN 1-4008-2968-2. ^ Fred Singleton (21 March 1985). A Short History of the Yugoslav Peoples. Cambridge University Press. pp. 72–. ISBN 978-0-521-27485-2. ^ Barbara Jelavich (29 July 1983). History of the Balkans:. Cambridge University Press. pp. 229–234. ISBN 978-0-521-27458-6. Romantic nationalism is the form of nationalism in which the state derives its political legitimacy as an organic consequence of the unity of those it governs. This includes, depending on the particular manner of practice, the language, race, culture, religion, and customs of the nation in its primal sense of those who were born within its culture. This form of nationalism arose in reaction to dynastic or imperial hegemony, which assessed the legitimacy of the state from the top down, emanating from a monarch or other authority, which justified its existence. Such downward-radiating power might ultimately derive from a god or gods (see the divine right of kings and the Mandate of Heaven). The Ilinden–Preobrazhenie Uprising or simply the Ilinden Uprising of August 1903, was an organized revolt against the Ottoman Empire, which was prepared and carried out by the Internal Macedonian-Adrianople Revolutionary Organization. The name of the uprising refers to Ilinden, a name for Elijah's day, and to Preobrazhenie which means Transfiguration. The revolt lasted from the beginning of August to the middle of October and covered a vast territory from the eastern Black Sea coast to the shores of the Lake Ohrid. The territory of what is now the Republic of Serbia was part of the Ottoman Empire throughout the Early Modern period, especially Central Serbia, unlike Vojvodina which has passed to Habsburg rule starting from the end of the 17th century . Ottoman culture significantly influenced the region, in architecture, cuisine, language, and dress, especially in arts, and Islam. Armenian national awakening is similar to other non-Turkish ethnic groups during the rise of nationalism under the Ottoman Empire in development of ideas of nationalism, salvation and independence in Armenia, as the Ottoman Empire tried to cover the social needs by creating the Tanzimat era, the development of Ottomanism and First Constitutional Era. However, the coexistence of the communities under Ottomanism proved to be a dysfunctional solution as did the Second Constitutional Era which also ignited the dissolution of the Ottoman Empire. The Serbian Revolution was a national uprising and constitutional change in Serbia that took place between 1804 and 1835, during which this territory evolved from an Ottoman province into a rebel territory, a constitutional monarchy and modern Serbia. The first part of the period, from 1804 to 1817, was marked by a violent struggle for independence from the Ottoman Empire with two armed uprisings taking place, ending with a ceasefire. The later period (1817–1835) witnessed a peaceful consolidation of political power of the increasingly autonomous Serbia, culminating in the recognition of the right to hereditary rule by Serbian princes in 1830 and 1833 and the territorial expansion of the young monarchy. The adoption of the first written Constitution in 1835 abolished feudalism and serfdom, and made the country suzerain. The term Serbian Revolution was coined by a German academic historiographer, Leopold von Ranke, in his book Die Serbische Revolution, published in 1829. These events marked the foundation of modern Serbia. Bulgarian Millet or Bulgar Millet was an ethno-religious and linguistic community within the Ottoman Empire from the mid-19th to early 20th century. The semi-official term Bulgarian millet, was used by the Sultan for the first time in 1847, and was his tacit consent to a more ethno-linguistic definition of the Bulgarians as a nation. Officially as a separate Millet in 1860 were recognized the Bulgarian Uniates, and then in 1870 the Bulgarian Orthodox Christians. At that time the classical Ottoman Millet-system began to degrade with the continuous identification of the religious creed with ethnic identity and the term millet was used as a synonym of nation. In this way, in the struggle for recognition of a separate Church, the modern Bulgarian nation was created. The establishment of the Bulgarian Exarchate in 1870, meant in practice official recognition of a separate Bulgarian nationality, and in this case the religious affiliation became a consequence of national allegiance. The founding of an independent church, along with the revival of Bulgarian language and education, were the crucial factors that strengthened the national consciousness and revolutionary struggle, that led to the creation of an independent nation-state in 1878. Slavic-speakers inhabiting the Ottoman-ruled region of Macedonia had settled in the area since the Slavic migrations during the Middle Ages and formed a distinct ethnolinguistic group. While Greek was spoken in the urban centers and in a coastal zone in the south of the region, Slav-speakers were settled in its rural hinterland and were predominantly occupied in agriculture. Habitually known and identifying as "Bulgarian" on account of their language, they were considered as "Rum", members of the community of Orthodox Christians according to the Ottoman millet system.